For my birthday, my husband treated me to a day at the spa! I've always wanted to go to a spa, but had constantly felt that I could never 'relax' knowing that I'm spending loads of cash on a few hours of bliss. 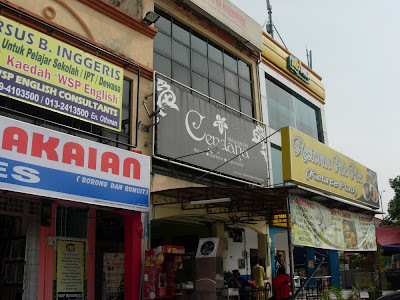 So, when my husband found an affordable spa in Shah Alam, I was overjoyed! The name of the spa we chose is Cendana Spa, located in Section 7, Shah Alam. We had read several positive reviews on its treatments, and so thought it'd be a safe bet. My husband called in advance to book an appointment. I chose the Manja Cendana package and added on a milk bath. 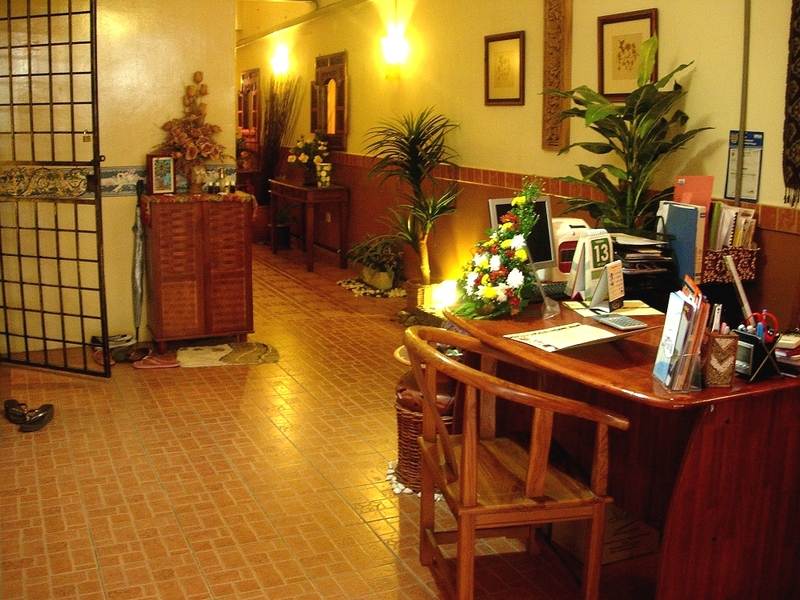 The spa is located in a shop lot, which isn't very glamourous, but don't let that turn you off! Its sign is somewhat obscured by the restaurant's though, so look carefully! This is the reception area. The spa isn't 'posh' but it's cosy, I liked it. If it was too posh, I'd probably feel 'intimidated!' I was attended to by a very sweet young lady named Anis. Looking to update your look? Try out the beauty tips covered in the latest Gorgeous magazine! On the beauty and fashion front, I wrote features on Youngblood Mineral Makeup and Pandora, as well as a beauty Q&A. But that's not all, there's also my article on how to help teens choose a career path called Options A Plenty. I hope you like them! If you haven't checked out I.M.magazine already, you so should! This home-grown mag has been around for a couple of years, so I'm slightly ashamed to admit that I only found out about them in June. Their bright yellow cover and unbelievable retail price caught my eye! 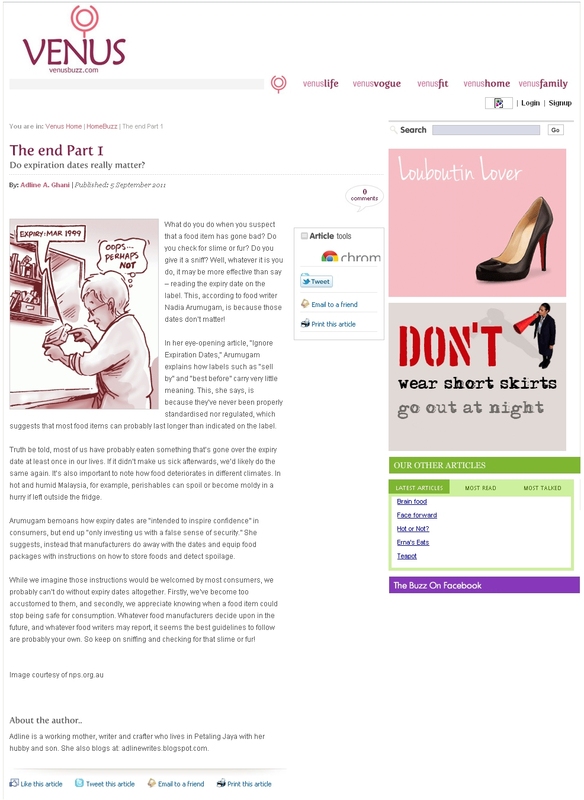 Anyway, I was so impressed by their content (which is contributed by their readers! ), as well as their overall look and feel that I just had to write in. 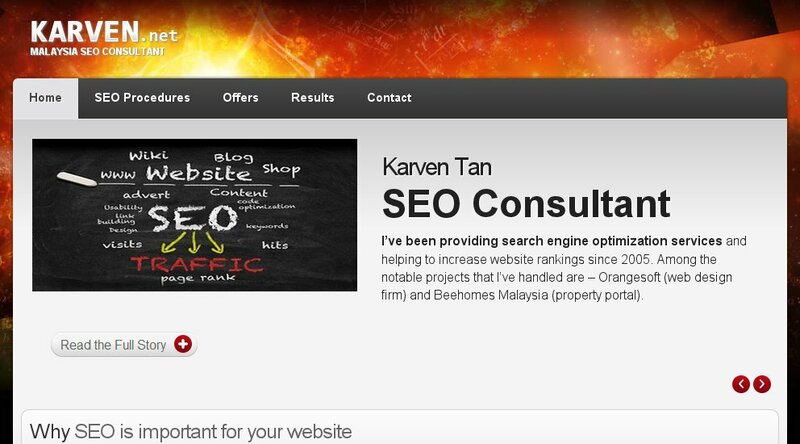 I've been working on some copy editing for SEO consultant Karven's personal website. If you have a website and it's not SEO optimised, he's the man to talk to! After the festive season, I jumped right back into work at the office, and kept myself busy with various writing and crafting projects. While I like having things to do and challenging myself with creative projects, strangely, these past few weeks have been somewhat 'muddled' by a series of emotional ups and downs. Such is life, I suppose, but I am determined to make something positive come out of this mental 'haze'. 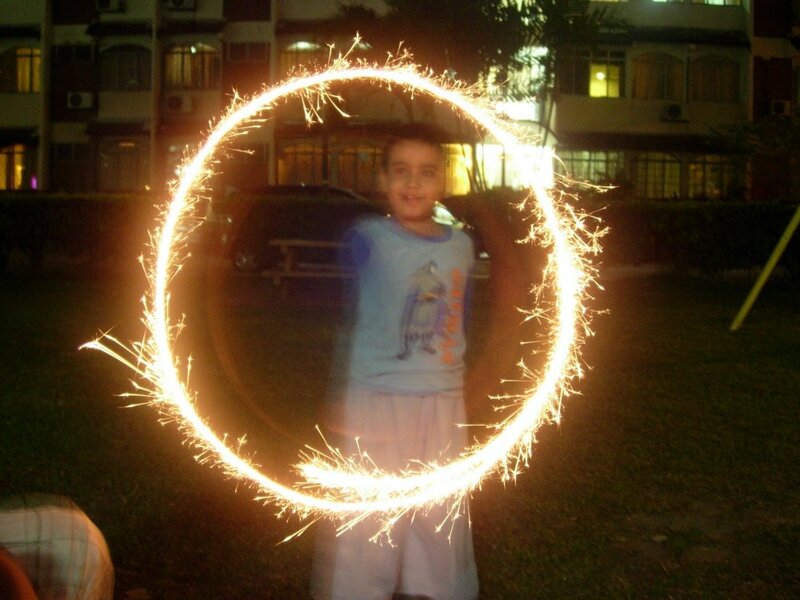 I think this picture I took a few days ago, of my son playing with a sparkler and 'drawing' a circle in the air, sums things up quite well. It suggests to me that the moments in our lives are fleeting. They may burn bright if we let them, but eventually, everything fades away. We're left with the experience. A memory. It is what we do with the fleeting moments in our lives that count. Have you ever eaten food that's exceeded its expiry date? I have! But, am I putting my health unnecessarily at risk just because I can't bear to throw something out? Find out more as I question the integrity of expiry dates... are they really The end? Could your living and working environment be making you ill? If you've been feeling under the weather, and you can't figure out why, perhaps toxic dust is to blame. 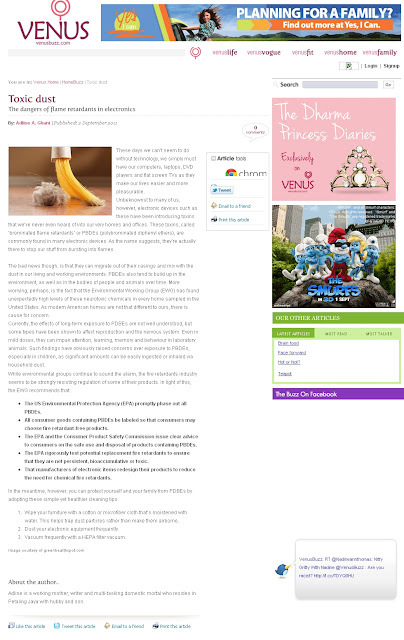 Learn more about this invisible threat in my article Toxic Dust on Venusbuzz.com.